The goal of this site is to introduce readers to the remarkable thought of the great 19th Century British Art and Social Critic, John Ruskin. Even though his is hardly a household name these days, it is my deep and enduring belief that Ruskin’s brilliant thought and carefully worked out ideas (always encased in glorious prose) still retain great relevancy for our modern days, offering new ways of thinking about and, quite possibly, if put into practice, alleviating or lessening many of the troubles which still beset us. But there is second level to Ruskin’s genius, his unparalleled ability to make the beauty of this world and life come alive in his paragraphs. I am hopeful that, after reading some of the posts you might be inclined to agree with these assessments. More information about Ruskin and myself will be found in the Pages which are listed on the navigation bar beneath the banner photographs. The most recently published Post can always be read below this “Welcome” note (just scroll down). If you’d like to be notified of subsequent Posts as they publish, as I hope you will, just click on the “FOLLOW” button at the top of the right hand column and type in your email address. Questions, suggestions, or comments are always welcome. 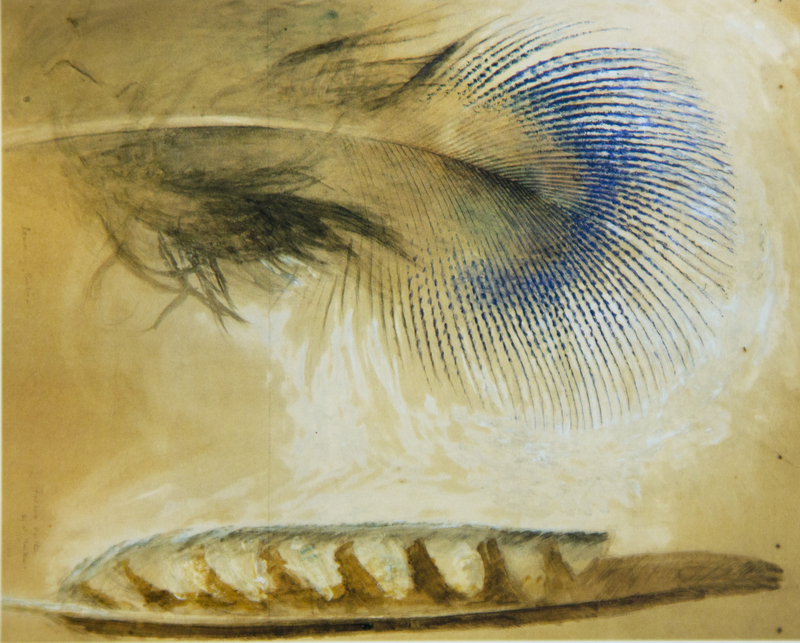 The lovely drawing–there are many more!–of a peacock’s and a falcon’s feather, is Ruskin’s. This entry was posted in Welcome Message. Bookmark the permalink.